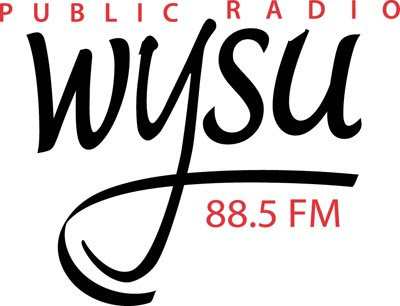 I recently appeared on WYSU-FM 88.5 as a guest during the radio station’s semi-annual fund drive. The National Public Radio affiliate is one of the Mahoning Valley’s most distinctive cultural institutions and I always jump at the chance to help them in any way that I can. As part of the WYSU Advisory Board and a member of its marketing committee I know the value of the station to the community as a cultural mainstay but, as a marketer, I know its value as an opportunity for businesses to do a little brand building. I am not talking advertising here. This is about marketing, and in particular, public relations. As a marketing consultant, I am constantly searching for ways to get our clients as many effective positioning opportunities as possible. I want these opportunities to be, if not free, at least extremely affordable -- you know, maximum impact for minimum bucks. For our clients who want to reach an upper-income, educated, loyal, adult customer base, the best deal in town is becoming an underwriter on WYSU. The base, extending across both the Mahoning and Shenango Valleys and as far north as Ashtabula, consists of about 50,000 listeners a week. Pretty significant, I believe; and for any business looking to reach this coveted demographic, it's like handing LeBron the ball with the game on the line. My business, Keynote Media Group, is a WYSU underwriter, and currently three of our clients are on the station as well. One of those clients, who has also become a good friend, Doug Aebischer of Aebischer’s Jewelry in Poland, recently told me that not only has he seen new customers come to the store since he began the program, but almost every week people stop in and say, "Thank you [for supporting WYSU]." Now we're getting somewhere. That’s potent P.R. for pennies. The affiliation with WYSU goes far beyond positioning your brand, and exceeds anything remotely akin to traditional advertising. Oh, sure, as a public radio underwriter, your name, product/service, positioning statement, and web/phone/location are all mentioned. The real value, however, in my estimation, is that you are performing a community service by helping to fund this vital supplier of news, information and music. So you're not only reaching customers with your underwriting 'ad', you are associating your company's name with the area's most respected cultural resource. You are a 'partner' with the community. I like the way that sounds. There are, however, a few caveats and restrictions by going this route. First, the 'spots' are only fifteen seconds in length and read by station personnel -- no pre-produced spots! Also, the copy is restricted to the basics -- no "we're the best, fastest, cheapest, smartest..." types of qualitative verbiage. A business' public radio affiliation is by no means going to have customers busting down the door, their fists full of tens and twenties. But as a part of a consistent, comprehensive marketing campaign utilizing other marketing vehicles, it's one of the most effective clubs in the bag. There are many ways to stretch the marketing dollar and, considering the current economic environment, you better search out every one of them. WYSU may be a good place to start. The WYSU website has all the details. Today (Friday) is the final day of the pledge drive. At the time of this posting, WYSU only needs little over a thousand dollars to reach their goal! Go from one of the many links in this post, and make a contribution today.